Postcards from the Netherlands – was it all just a dream? You are here: Home / Featured / Postcards from the Netherlands – was it all just a dream? Each summer for the last three years I’ve spent time cycling in the Netherlands. 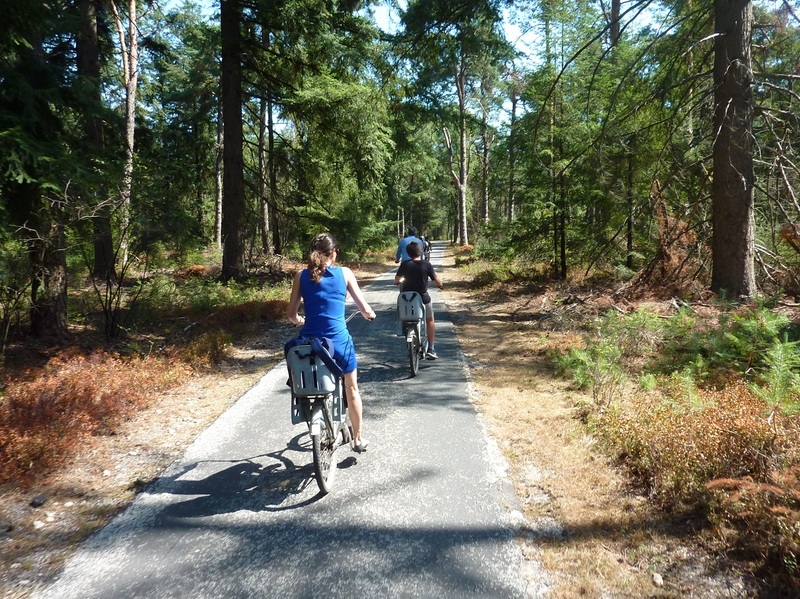 This year, along with visiting Amsterdam of course we went further afield: to the Veluwe National Park in the east with its 1,800 (!) free White Bicycles, to the cities of Delft and Haarlem and – for the first time – to the beautiful city of Utrecht which is regularly hailed as one of the best cycling cities in the country. 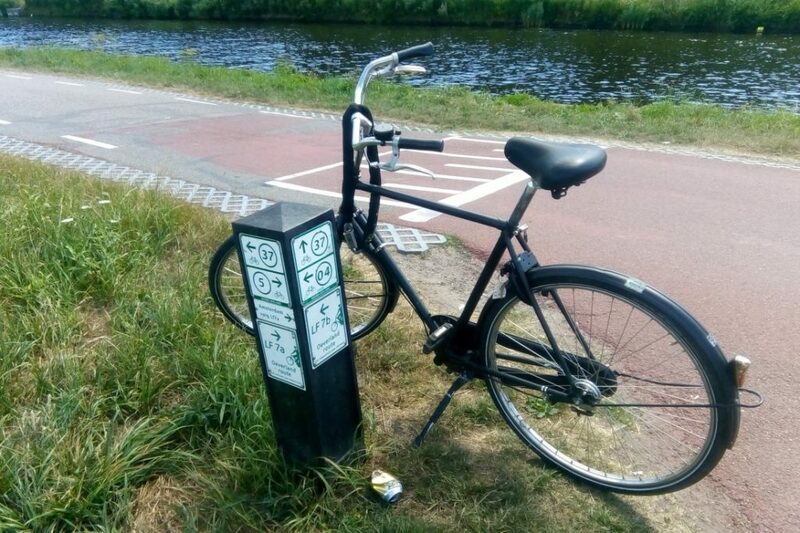 Everything in the Netherlands is designed to make cycling as effortless as possible. It’s not enough to just begrudgingly tolerate people on bikes. It simply won’t work. You won’t get young and old cycling. 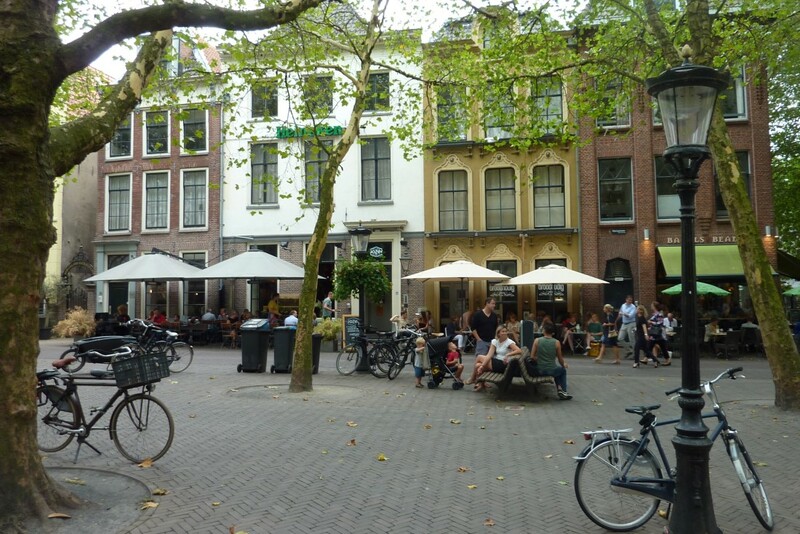 Restricting motor traffic from town centres creates pleasant, peaceful places where you want to spend time. People still need to get about (and transport their shopping, children etc.) so cycling is the obvious way to do it. Not all roads have cycle lanes. However traffic volumes and speeds are sufficiently low that the odd motor vehicle won’t concern you. This is one of the largest nature reserves in the country and everybody gets about on a network of surfaced cycle paths. There are separate tracks for walkers and for horse riders. 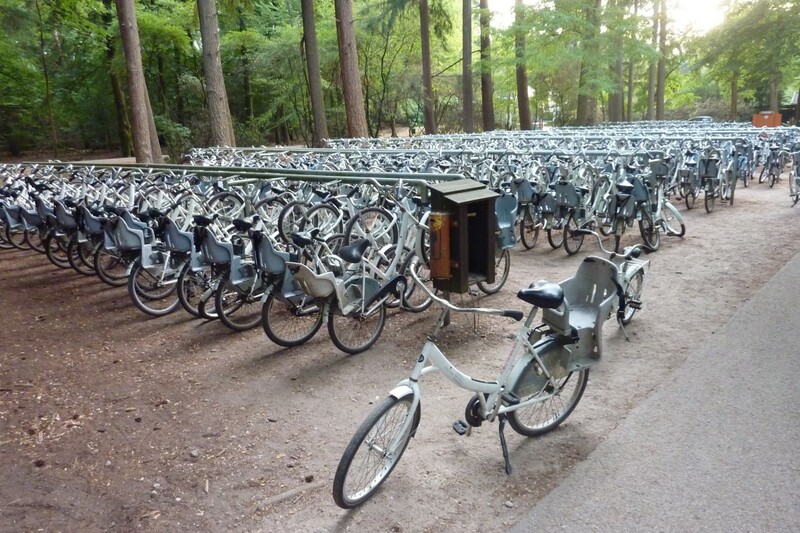 You don’t need to bring your own bike since there are free White Bicycles for use in the park. 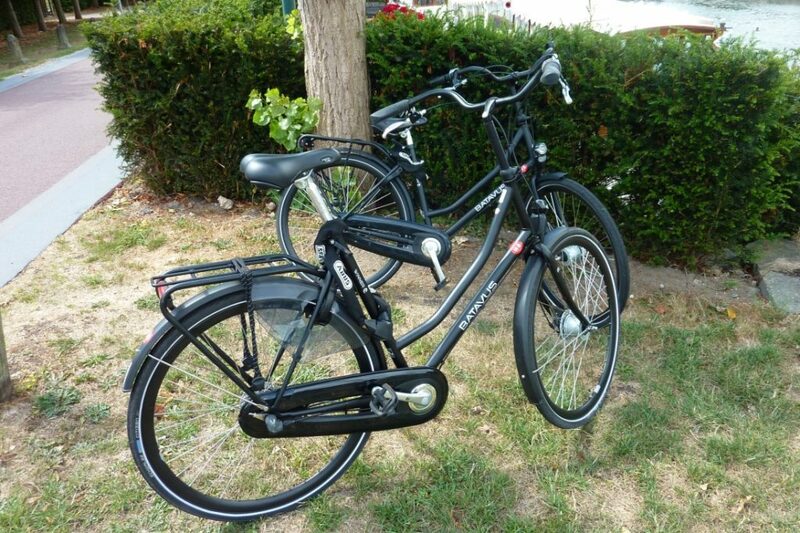 These are a legacy of the famous Provo bikes from Amsterdam in the 1960s which inspired public bike hire schemes the world over, such as the Santander Cycles in London. The bikes are about as simple as you can get (no gears and only one back-pedal brake) but work brilliantly as transport in the park. You just pick up a bike and go, drop it off when you stop and pick up another one when you leave. The White Bikes ride well, even when you’re 6ft 4! We had torrential rain one night but by morning the tarmac cycle path was dry so we could continue riding without getting covered in mud. 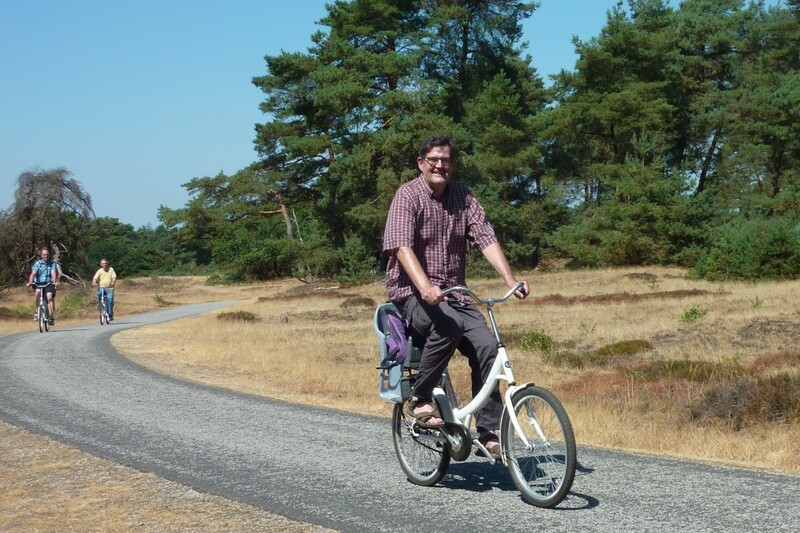 In places like the national park, E-bikes are now so commonplace as to be unremarkable. On newer models the power-plant and battery is so discrete it’s hard to tell them from normal bikes. 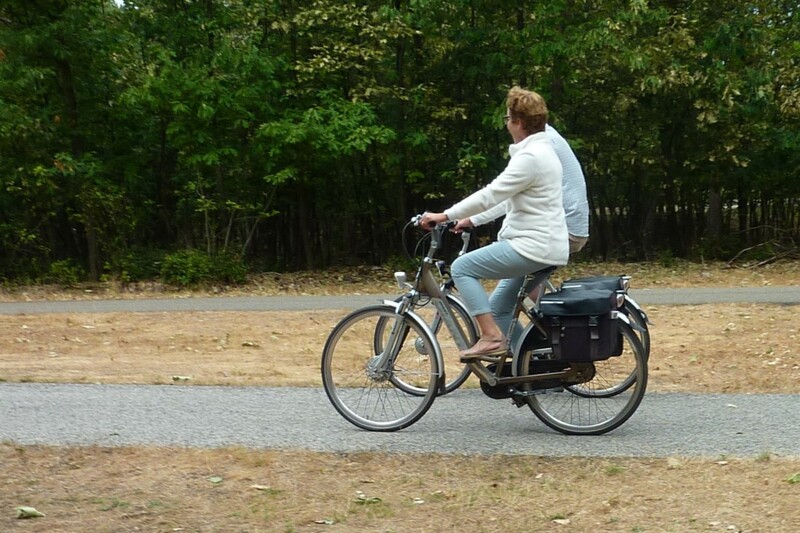 Cycle touring (as in, going for a longish ride on your bike for pleasure) is big in the Netherlands. In the summer it seems as if everybody is always heading off into the countryside on their bikes. For a couple of days we headed out of the city. A system of numbered “junction points” makes getting about ridiculously easy. Each point on the network has a map showing you where you are and where all the other nearby points are. You simply choose the number and follow the signs to that numbered point. You could cross the entire country without even needing to buy a map! The whole country is geared up for cycling. As you would expect there are cycle paths alongside all the main roads. With such an extensive network of cycle paths it’s bound to be empty some of the time, just as with the road network. One big difference from the UK is that the cycle paths continue at junctions and at roundabouts. Riding through a Dutch roundabout has to be experienced to be believed. Even on a busy junction it’s remarkably easy, safe and stress-free. I was interested to see what a really good Dutch cycling city was like and it didn’t disappoint. 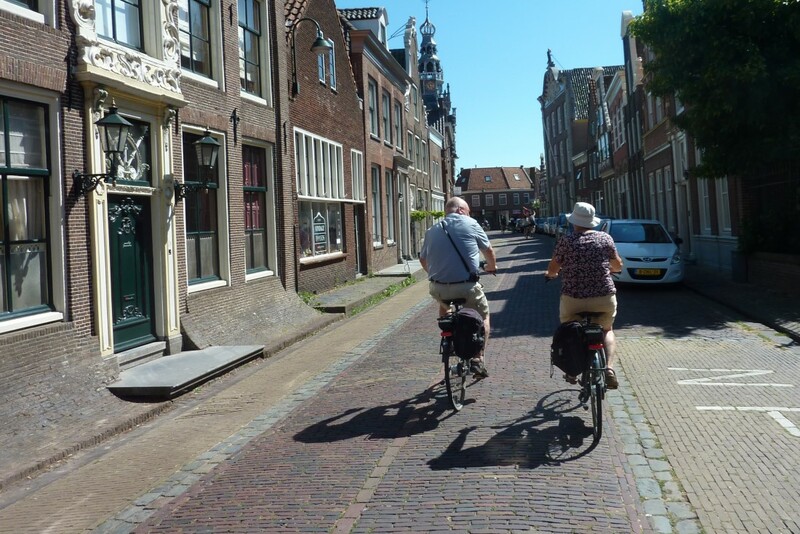 First-time visitors to places like Amsterdam marvel at the number of people on bikes, but if you want to see how you really make a city cycle-friendly you need to come to Utrecht! 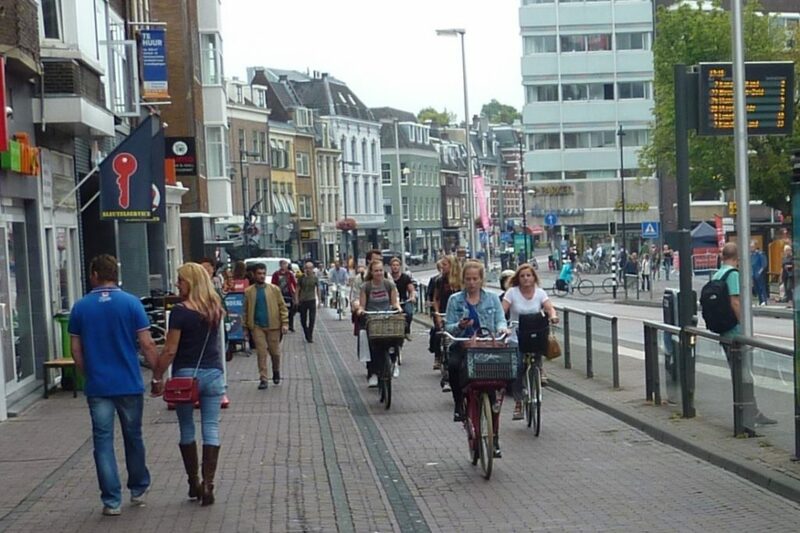 Vredenburg, Utrecht – the busiest cycleway in the country! 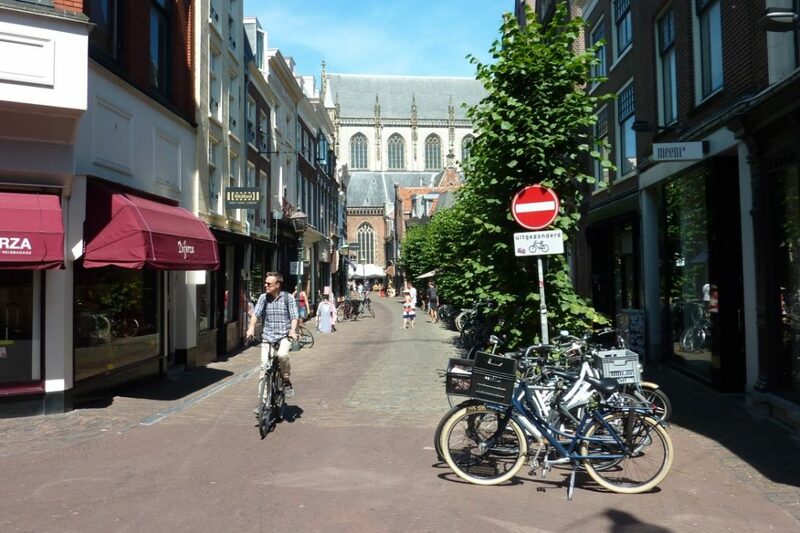 Utrecht is already incredibly cycle-friendly (it was one of the first cities in the world to pedestrianise its town centre – over 50 years ago in 1965!) but the city has plans to make things even better. Not surprisingly, you can witness the familiar principles we saw in the Waltham Forest Mini-Holland scheme writ large (restricting motor traffic, slower speeds, a dense network of cycle paths and creating attractive places for people). The scope of what they are achieving is breath-taking. The existing 4,000 cycle parking spaces at the central station is proving too small so a new cycle park for 12,500 bikes is currently under construction and will be the world’s largest when completed. 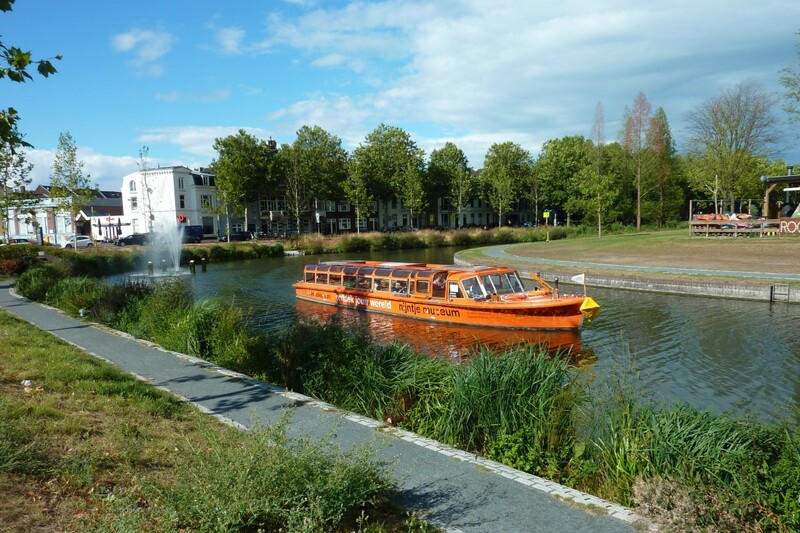 An underused 1960s urban motorway was recently re-instated as the canal it had once been. Incredibly, three years ago this was a six-lane motorway! The whole city is a low traffic neighbourhood, which make it a much pleasanter place for everyone. 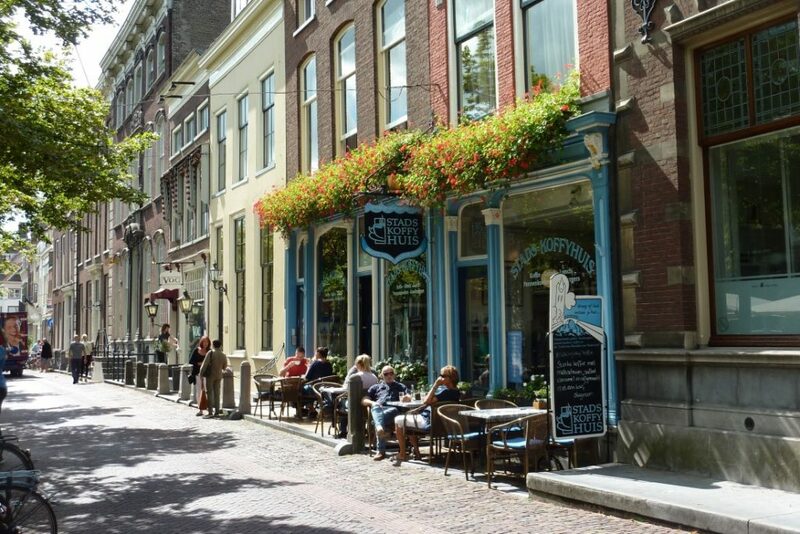 People can stroll about and do what people do, meandering, chatting, drinking coffee in outside cafes. 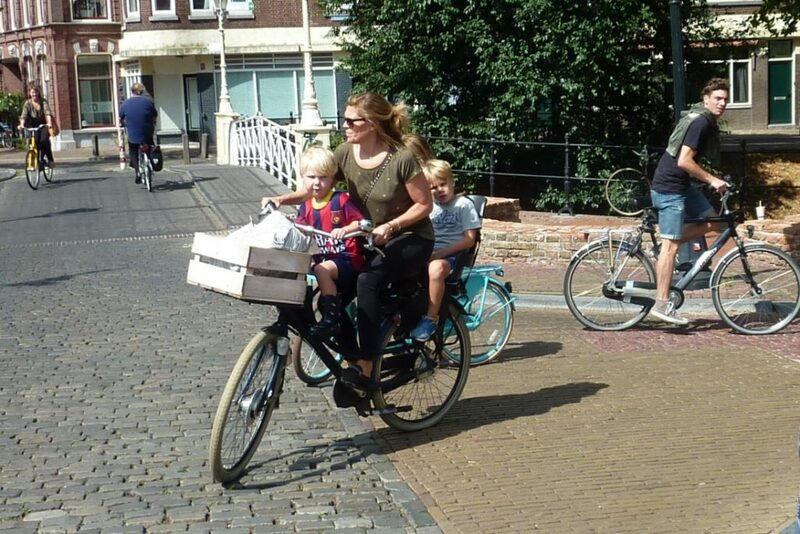 Enabling cycling as transport for everyone – from toddlers to the elderly – makes that possible. 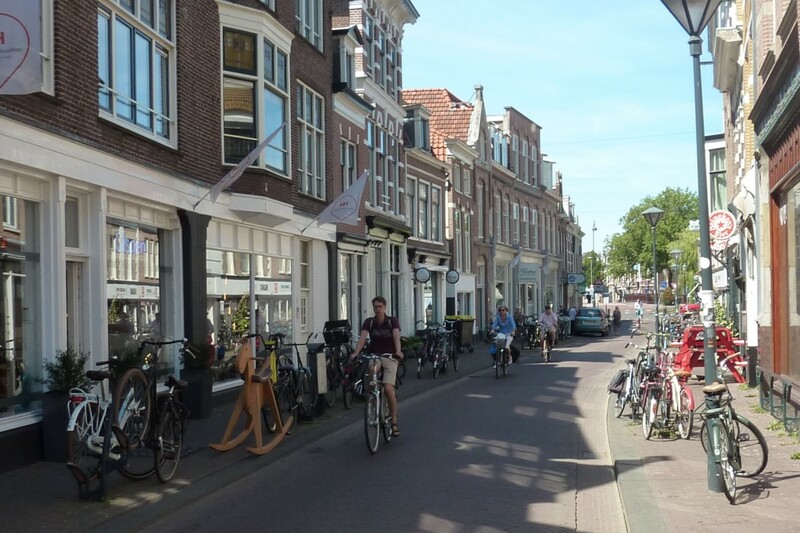 From big cities to small towns, all shared a sense that they were designed for people, not cars. What pictures alone can’t convey is the sense of calm and silence that comes from not having cars speeding past. You can talk in the street without having to raise your voice. Stress-levels are low for pedestrians and cyclists alike. Wherever cycle paths and areas where pedestrians meet there are always wide entrances with clear visibility. 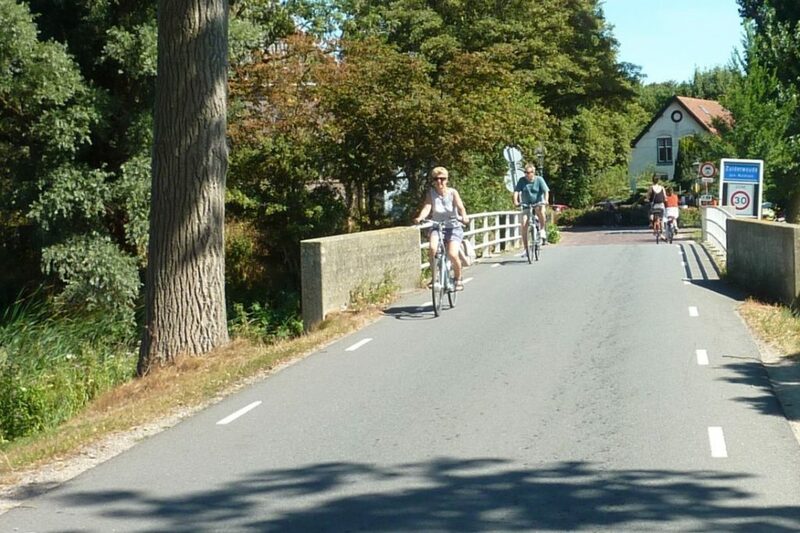 Rather than narrowing the path (for example with barriers, and creating conflict zones as we do in the UK) paths are widened and have clear visibility which gives time for everyone – cyclists and pedestrians – to negotiate around each other and avoid any potential conflicts before they happen. You can ride without particularly knowing where you’re going and still be confident that you’ll get there safely. There’s no need to “keep your wits about you” just to stay alive. In the UK you are constantly forced into interactions with cars (because there are no cycle lanes) and pedestrians who don’t expect you to be there (because even when you’re on the “official” cycle path it’s basically the pavement). You just don’t experience that in the Netherlands. One of the many striking impressions was the sheer number of late middle-age and elderly people getting about by bike. 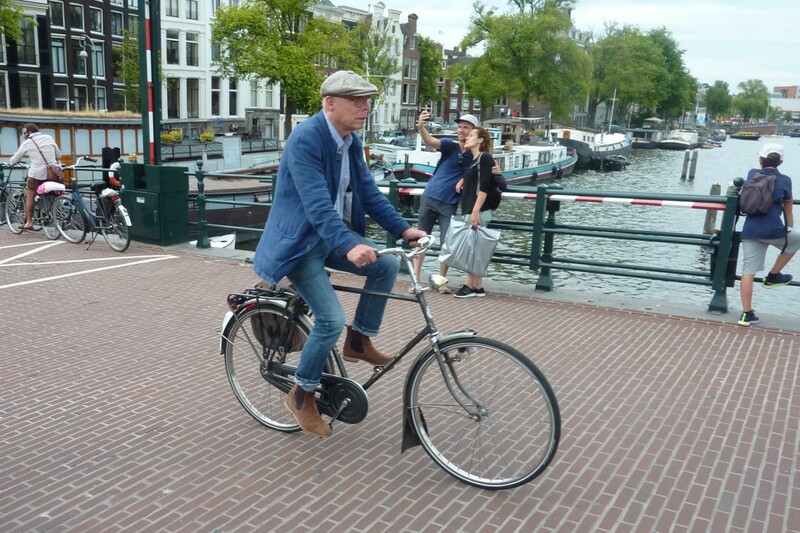 Age does not prevent them from continuing to experience the freedom and independence that cycling brings. 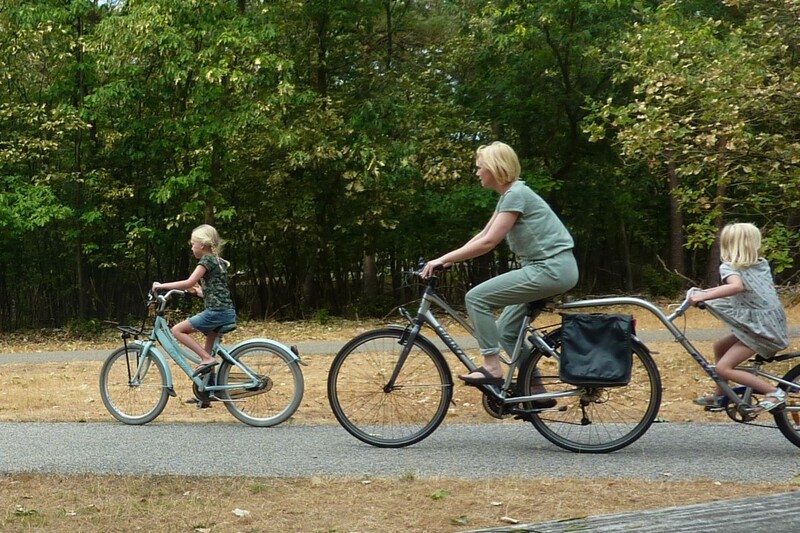 Cycling in the Netherlands is easy, convenient, fast and direct – which is why everyone does it. Returning to the UK you realise you’re only cycling because you’re an enthusiast. Nearly being squashed under the wheels of a motor vehicle is an almost daily occurrence, even on a short cycle trip. 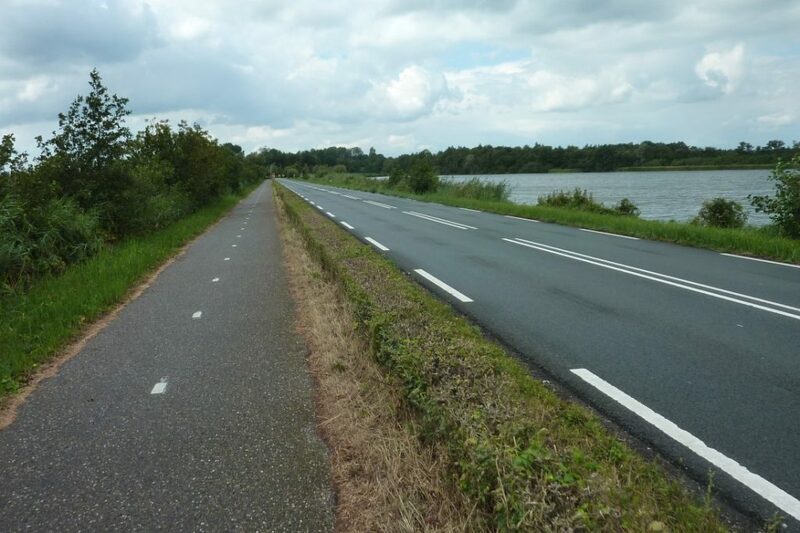 By contrast, in the Netherlands you can head off for an all-day bike ride and not once have to face a life-threatening encounter with a motorised vehicle. Returning home you quickly get back into the routine of euphemistically named “close passes” and so-called cycle paths that end after a few hundred yards just when you need them most. 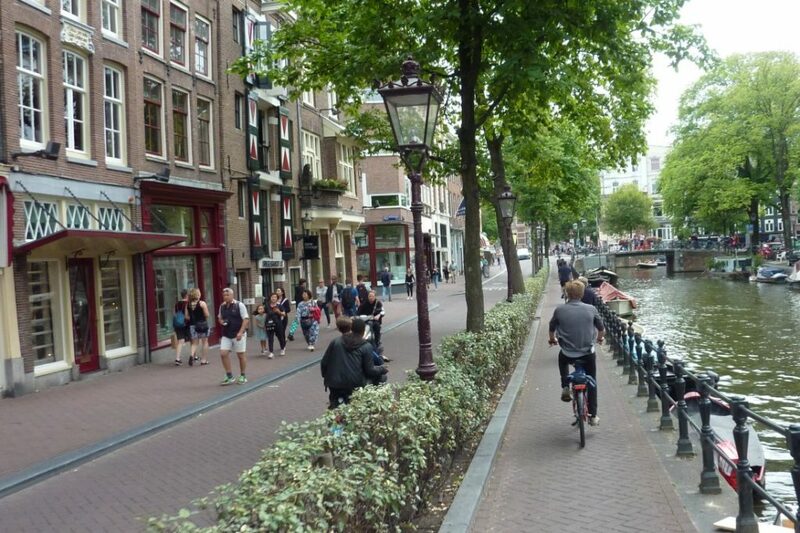 Reflecting on the experience of cycling in the Netherlands I can’t help wondering: was it all just a dream? 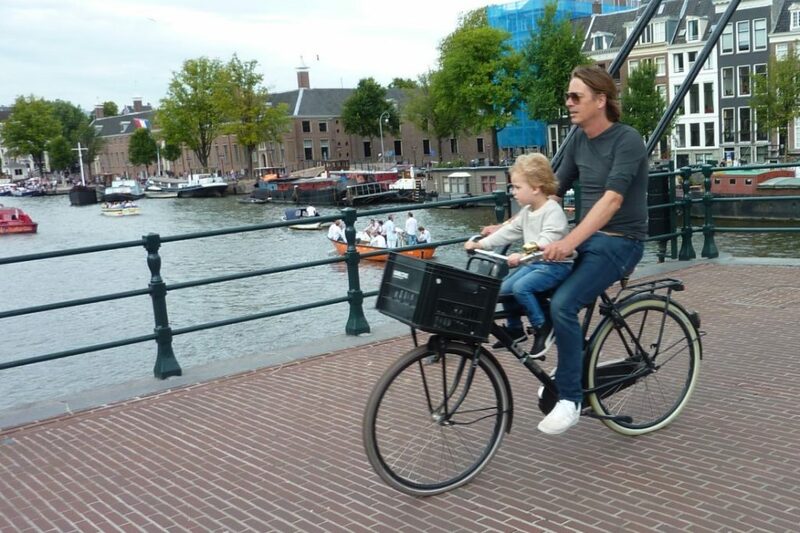 Will I still be cycling in the UK when I’m his age? I completely echo the sentiments here. 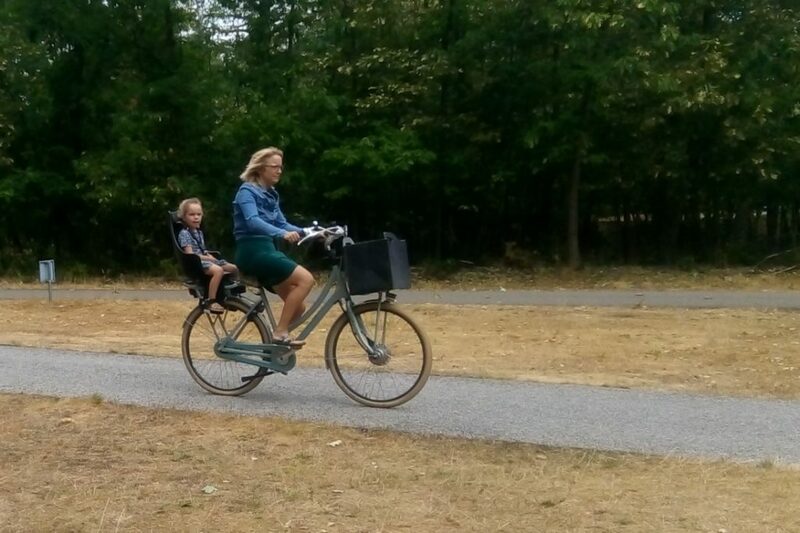 I love cycling around Horsham district but don’t like taking my children because of close passes and the like, yet my son and I did a 300km ride from Rotterdam to Bonn in the summer with no worries about cars at all. Smooth surfaces, old and young cycling together and a calm atmosphere were a joy.